When picking tiles, it’s easy to spend days debating the right tile colour, size and finish that will work well for your space. Yet the grout that frames each tile is often picked at the last minute. Don’t let grout choice become an afterthought. The grout used determines the function, durability and overall aesthetic of a tiled floor. Picking grout is just as important as picking tiles. There are three simple approaches to choosing grout colour – matching, contrasting or neutral. Choosing a grout colour that matches the tile creates less pronounced grout lines and draws more attention to tile. When used with a one colour tile with simple layout, a matching grout line creates a fluid look. Matching grout lines are also a great option to show off the beauty of natural stones such as marble or granite. A contrasting grout colour accentuates the pattern and layout of the tile. This approach is a great choice for geometric or decorative patterns. This hexagon pattern tile from Julian Tile is a great example of a contrasting grout working well with a geometric pattern. When using a pebble mosaic, a contrasting grout colour gives an earthy vibe to the pebbles. Neutral grouts are considered the safe choice. A light coloured beige, brown or grey grout will have the most mass-market appeal. This neutral yellow-beige grout doesn’t stand out too much and works well against the wall colour. 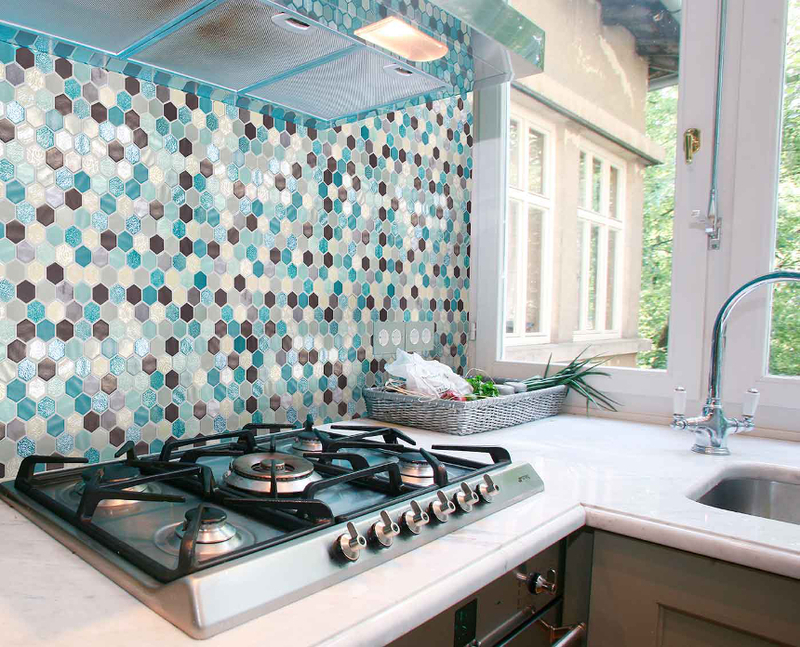 Neutral grout lines let multi-coloured mosaics take centre stage. Darker colours hide dirt better but the colour tends to fade quicker. Lighter colours tend to show more dirt and grime. To balance the pros and cons of light and dark grouts, some designers recommend using an in-between colour like a tan or light grey. 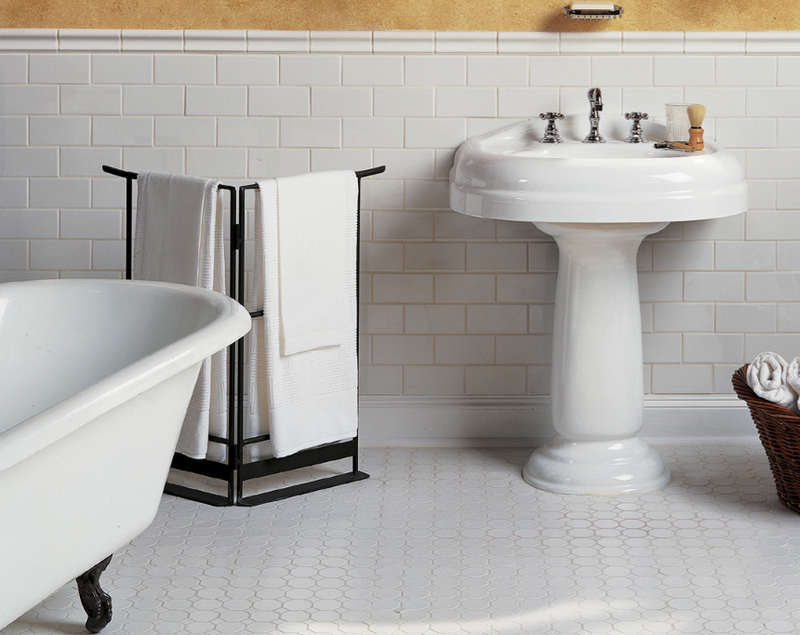 When considering dark vs. light grout, think about the traffic of the room. A busy family kitchen may not be the best choice for a light coloured grout but it could be put in a guest bathroom that isn’t used often. Cement-based grout is the most commonly used tile grout. It’s relatively inexpensive and works well in most situations. Epoxy grout is more resistant to stains and water damage and can be substituted for either sanded or unsanded cement grout. If your grout lines are 1/8″ or bigger, use sanded grout. A sanded grout has fine sand added to it that prevents the grout from shrinking as it cures. 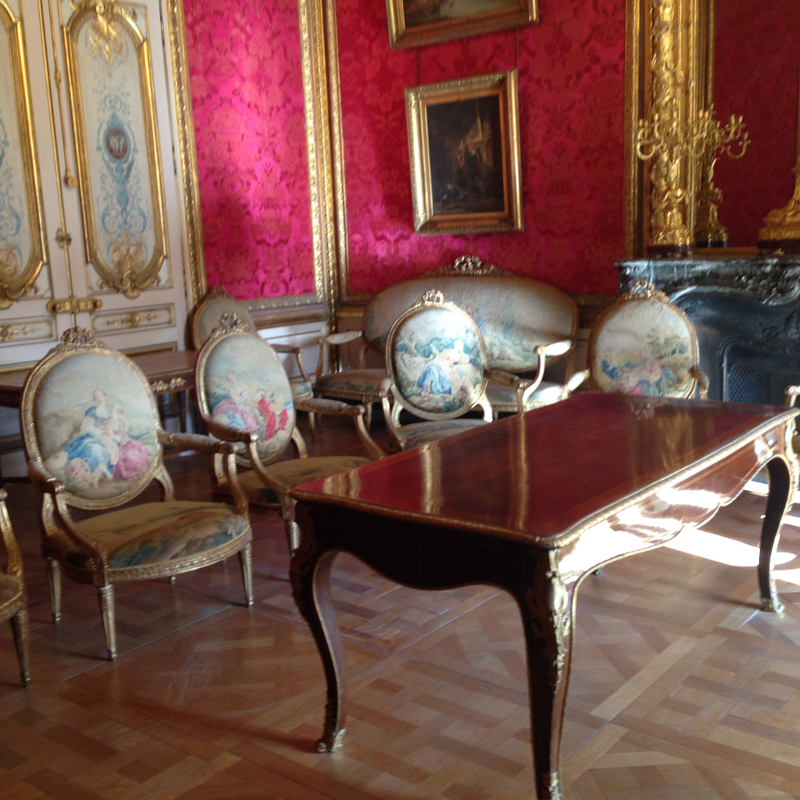 The Louvre Museum is a Paris landmark and must-see for any visitor. The miles-long museum is renowned for its impressive collection of artwork including pieces like the Mona Lisa & Venus De Milo. But while enjoying the 35,000 pieces of artwork, sometimes visitors miss the most prominent piece of art: the building itself. The Louvre Palace was first built in the 12th century. When Louis XIV choose the Palace of Versailles as his place of residence instead of the Louvre Palace, it left the Louvre as a home for the royal artwork collection. 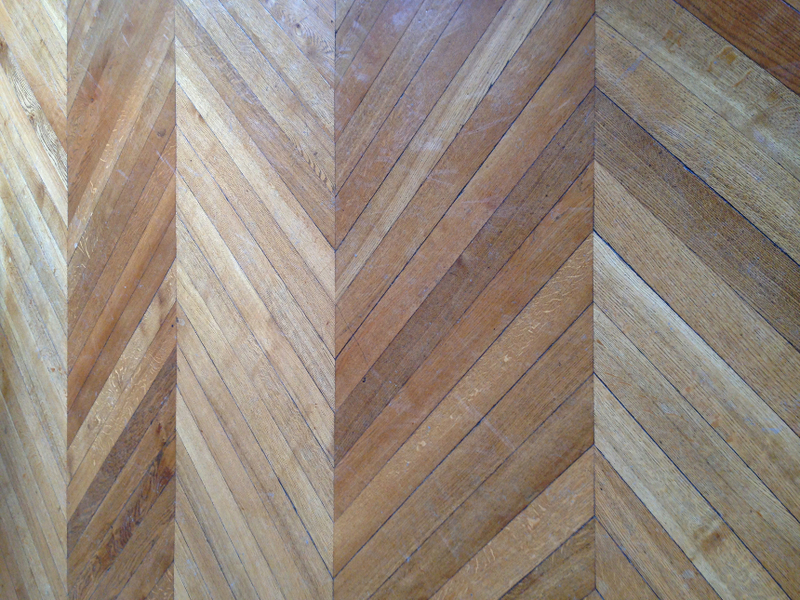 The wood floors underfoot in the Louvre are as inspiring as the artwork on the walls. Simple oak planks are cut to size and put together to create unique patterns. This two-tone herringbone is striking even with all the character marks. 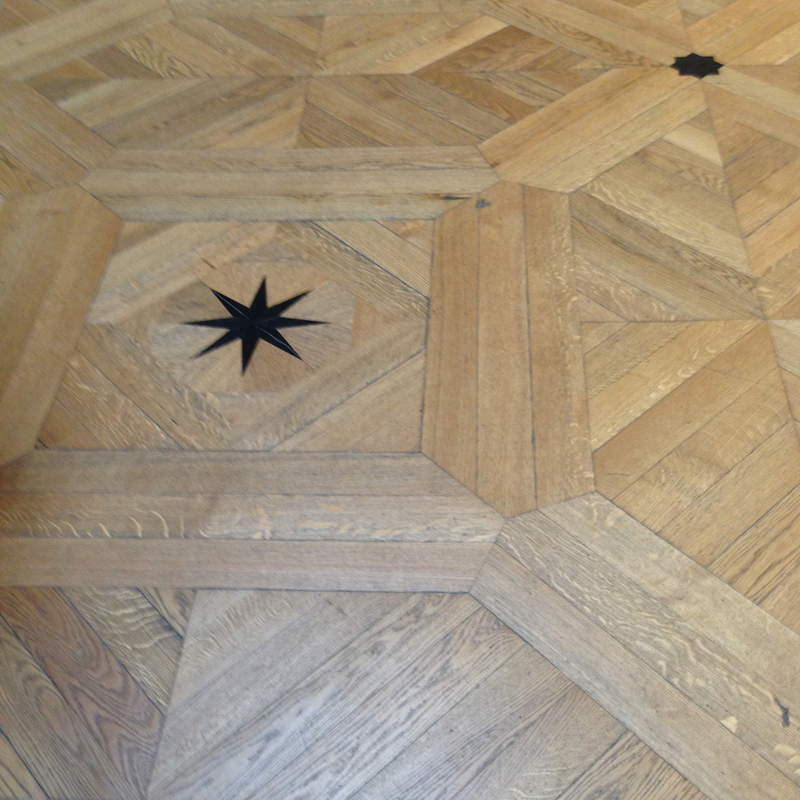 This room featured an intricate hardwood pattern with star inlays. A close-up on a stunning diamond pattern. 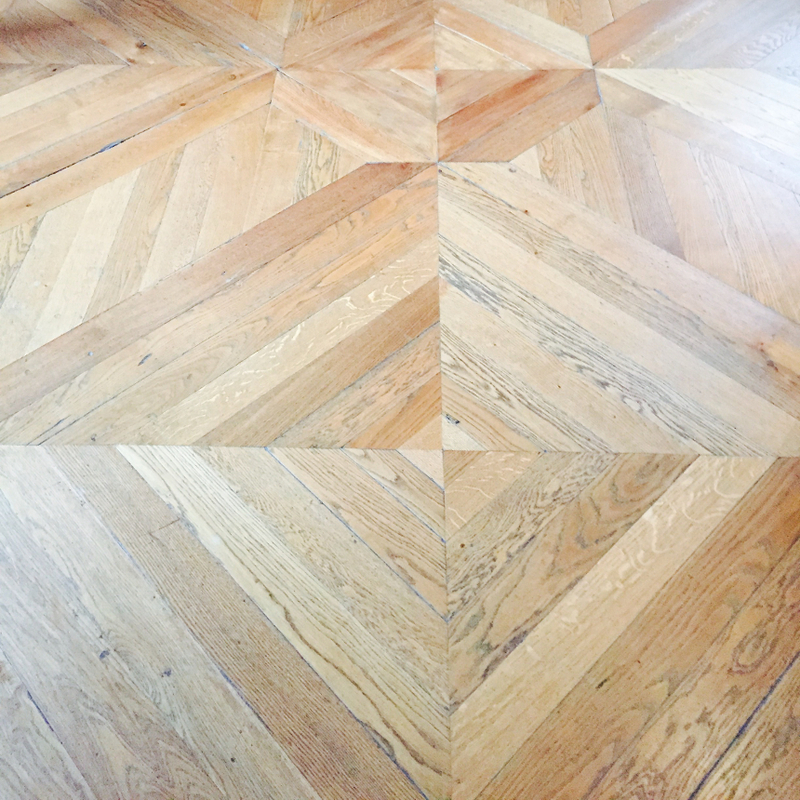 In the Napoleon III apartments exhibit, visitors can see what these patterned wood floors would look like at home – if you home also happens to be decorated in an opulent Second Empire style. 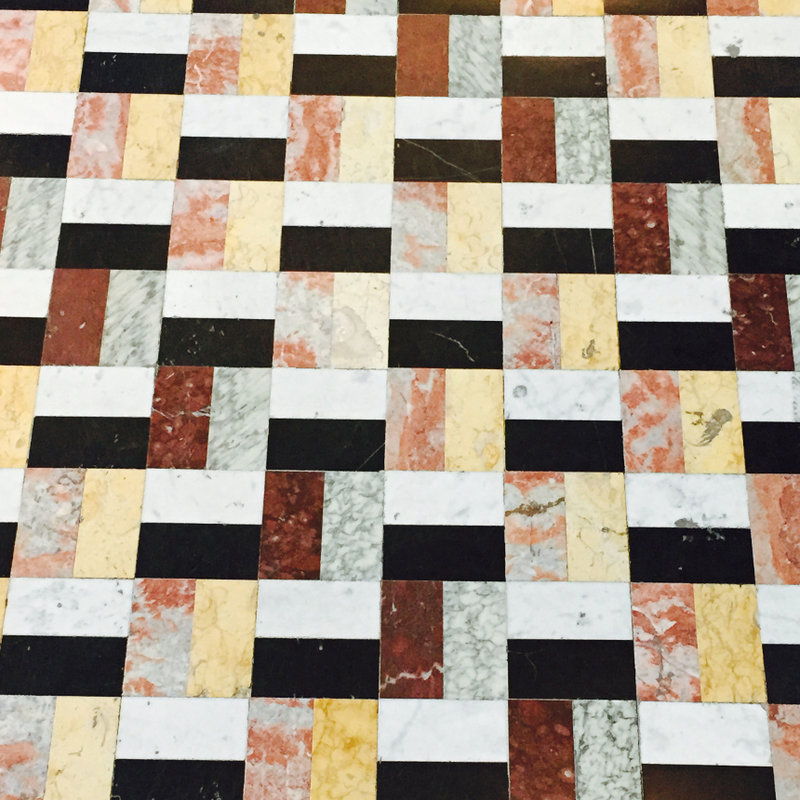 Tile floors are used throughout the Louvre as well – we love this pattern. With 9.7 million visitors traipsing through the halls in a year, these floors are put to the test. 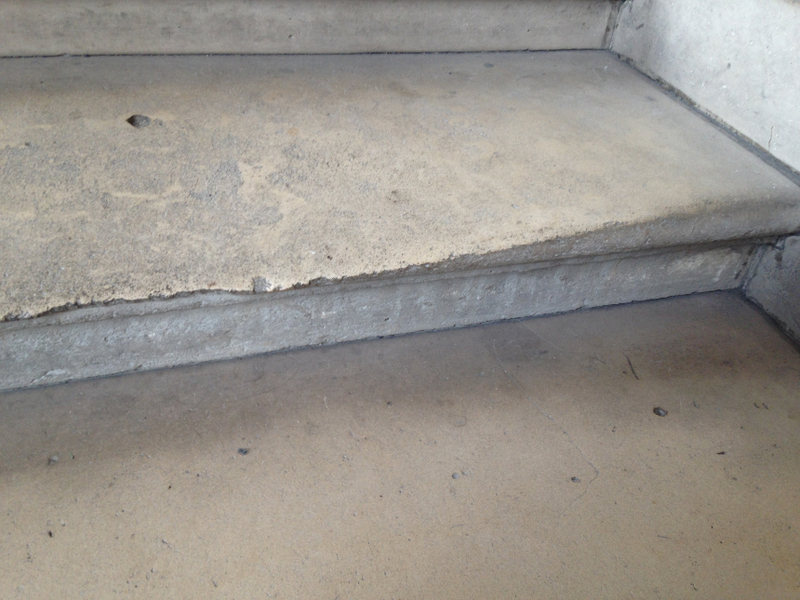 On the stone steps, you can see how the middle of the step, where most people walk, has been worn down. 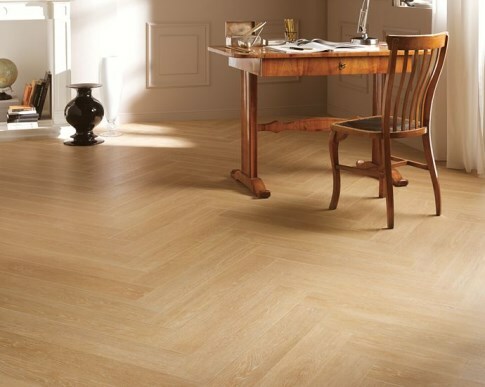 To get the classic look of the Louvre at home, try Herringbone floors like these options from Kentwood, available in both natural oak and walnut. 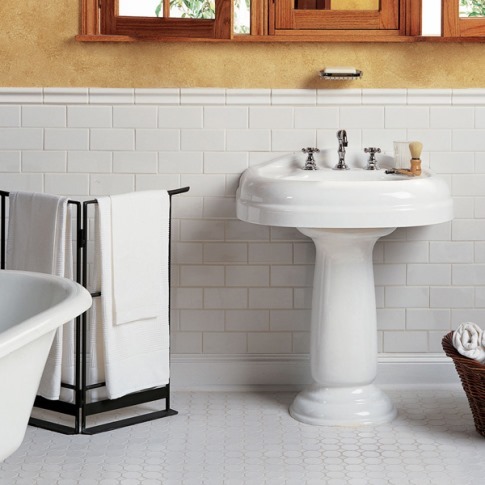 To mimic the elegance of the natural stone and patterned tile used in the Louvre, try this combination of Carrara marble style tiles and basket-weave mosaic from C&S tile. 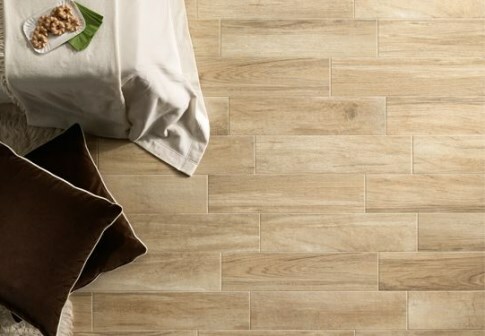 Tile is considered to be easy to care for and requires very little maintenance when compared to other flooring options. By taking a few preventative measures and following simple routine cleaning tips, you can easily keep your tile floors looking pristine. Vacuum and sweep regularly to remove dust and debris. Clean your floors weekly with a neutral PH cleaner that does not contain ammonia, acid, or bleach. Change mop water frequently while cleaning floors. Glazed ceramic backsplashes in bathrooms can be cleaned with multi-purpose bathroom cleaner as long as the cleaner is also suitable for grout. Cementitious grouts should be sealed after installation to prevent staining. Epoxy grout does not need to be sealed since it is already chemically cured. Neither sealing or using epoxy grout is a 100% perfect solution to prevent grout staining and discolouration. Use a grout compatible or neutral PH cleaner to clean the grout. Deep cleaning with professional strength grout cleaner is recommended every 6-12 months. More frequent cleaning is recommended for areas with heavy exposure to soap and grease. If deep cleaning does not remove grout stains, try an epoxy-based grout stain to return it to the original colour. Since natural stone products are porous and soak up liquids, they require more maintenance than ceramic or porcelain tiles. Following proper maintenance guidelines is necessary to keep your natural stone beautiful. Sealing is strongly recommended for all natural stones. Since fine grout particles can stain tiles, it is recommended to seal both before and after grouting. Sealers will not make your natural stone stain proof. They will provide a temporary barrier that allows you to clean the stone before stains can penetrate the stone. Only clean using a neutral PH cleaner designed for cleaning stone. Cleaning products that use acid, ammonia or bleach can etch or discolour natural stone. When trying out a new cleaner, it is highly recommended to do a test spot in an inconspicuous area such as under appliances. Wood look tile floors are one of the newest trends in the flooring industry. We love the look of hardwood but it’s not always practical for wet or high traffic areas like tile is. Advancements in the tile manufacturing process allow manufacturers to create highly detailed and realistic wood look tiles. 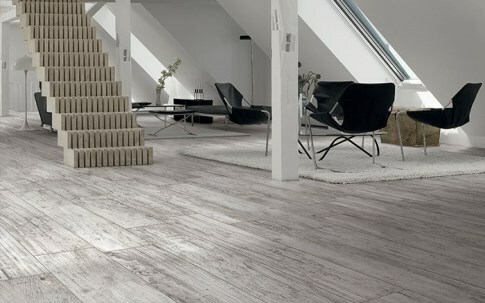 With the increased popularity in wood look tiles, there are now options to fit with every style. We have rounded up a few of our favourite wood look tiles to show off their versatility. 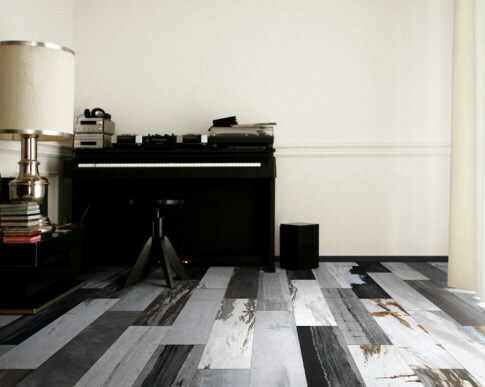 Contrast modern decor with a vintage inspired wood look tile. This grey-toned wide plank is designed to look like aged wood barrels. Digital technology is used to produce a detailed pattern of weathering and knots on this replica of the rustic European Larch. The Scandinavian design trend is still going strong. Glossy, dark stained hardwood floors are being replaced with raw, natural looking woods. Tile manufacturers are jumping on the band wagon by creating simple wood look tiles inspired by the beauty of unstained wood. Keep the natural look from being too simple by installing the tiles in a herringbone pattern. Wood look tiles are perfect for creating unique feature walls and backsplashes. Create texture and a cozy feel with this multi-coloured distressed option from Ames Tile. 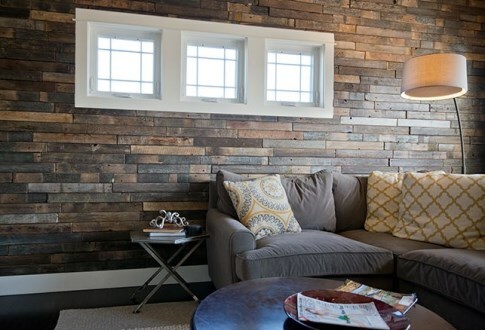 Be bold by installing wide plank wood look tile from the floor to the ceiling. This wood look tile imitates the natural colour variation of a hickory hardwood floor. 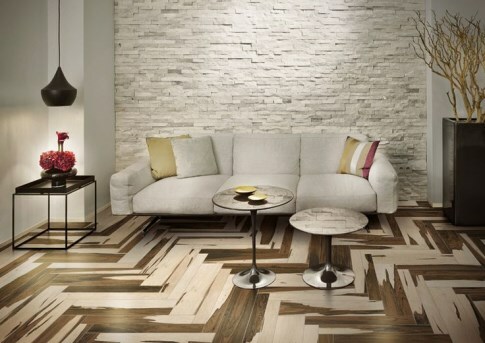 Installing the tiles in a herringbone pattern adds even more visual interest to this amazing floor. 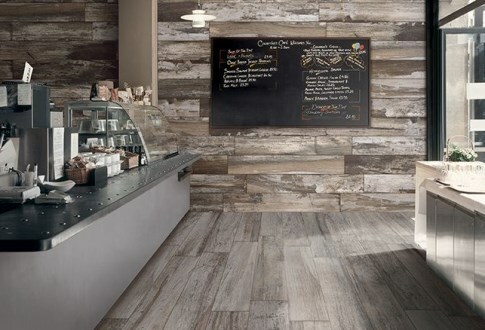 Make your flooring the centre of attention with this highly variegated wood look tile inspired by reclaimed wood. 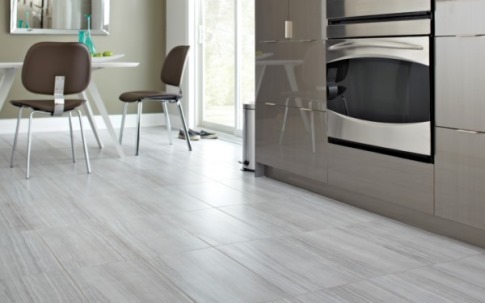 For even more wood-look tile options, take a look at our Pinterest. Tile terminology can be confusing. 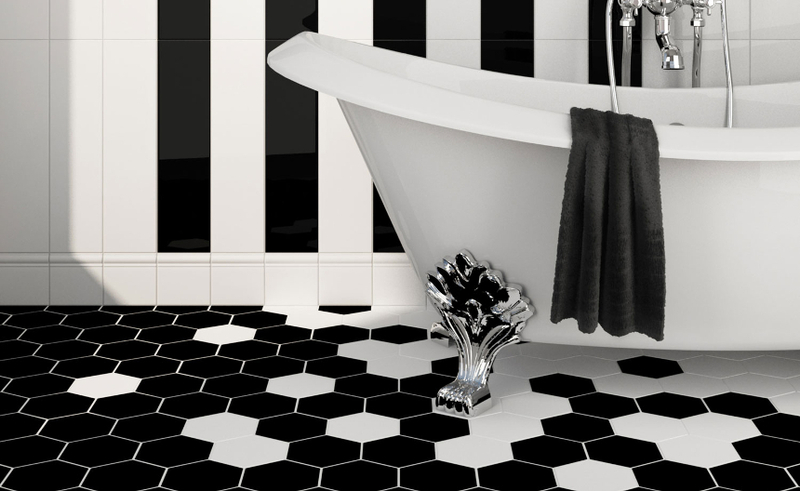 When talking about tile, many homeowners refer to tiles as ceramic or porcelain as if the names were interchangeable. But it’s unclear for beginners what defines the difference – is it based on the texture? Glaze? Edges? (Hint: it’s none of these.) Most non-natural stone tiles fall within the larger category of “ceramic tiles.” The ceramic tile category is split into two groups – non-porcelain and porcelain. Non-porcelain and porcelain ceramic tiles are similar in many ways – both can be glazed and the production method is identical. It’s the water absorption rate that differentiates the two types of tiles. Let’s take a look at the other features and benefits of porcelain and non-porcelain ceramic tiles. Ceramic non-porcelain tiles (we’ll just refer to them as ceramic for simplicity) can be either glazed or unglazed. When ceramic tiles are glazed, the glaze is applied to the outside of the tile and the tile is fired in the kiln. The resulting glazed tile is hard, non-porous, stain resistant and easy to clean. Glazes can be high-gloss, matte, transparent or opaque, each creating many unique appearances. Since the glaze does not go all the way through the tile, if it is chipped a different inner colour will show through. Ceramic tiles are great for DIY’ers because they are easier to cut than porcelain tiles. Unglazed porcelain tiles are known for being very tough and dense. They are a through-coloured product, which means if they are chipped or start to wear due to heavy traffic they will keep their original colour. 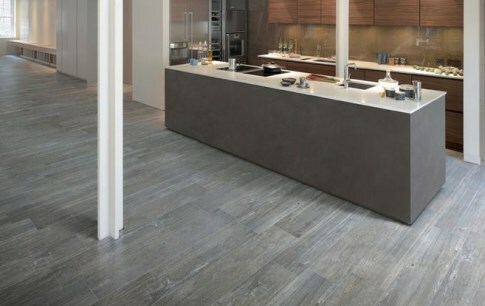 Unglazed porcelain tiles can have a variety of finishes from matte to high-gloss. Some unglazed tiles even have textured finishes designed to mimic natural stones. These textures come from the mould used to produce the tiles. Glazed porcelain tiles combine many of the same benefits as unglazed porcelain tile with the wide variety of looks a glaze can provide. They can be glossy, matte, or even polished to a completely flat surface. Like glazed ceramic tiles, any chips will show the inner colour of the tile. 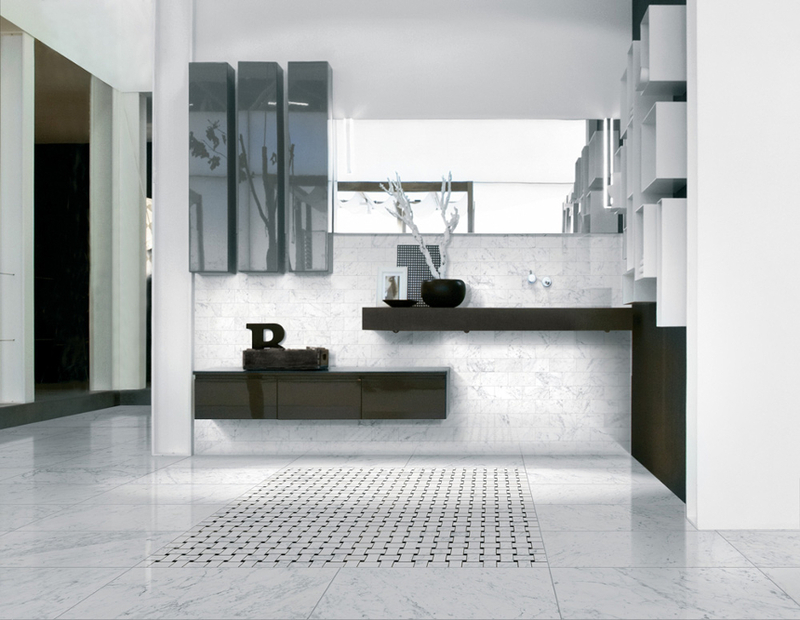 Many porcelain tiles boast that they have rectified edges. A tile with rectified edges was cut after firing. Tiles shrink about 15% after they have been fired and they do not shrink evenly. Cutting tiles after they have been fired ensures that all tiles are exactly the same size.